The world of television can be quite brutal. One minute you are way up and the next you are literally sweeping the floor. It seems like a rite a passage for every TV star to experience the unexpected fall from grace at least once. It looks like its Simon Cowell’s turn to trek on shaky ground, thanks to the unimpressive debut of the US version of the UK hit The X Factor. Despite all the hype and glaring publicity (thanks to the Cheryl Cole casting fiasco this summer), the reality talent show that was supposed to give monster hit American Idol a run for its money, didn’t quite gel with the viewers. Cowell had already declared that if the number of viewers didn’t at least reach the 20 million mark, he would be disappointed. Well, the numbers are in! And the freshman show only managed to pull in 12.1 million viewers while American Idol brought in 26 million. You do the math. 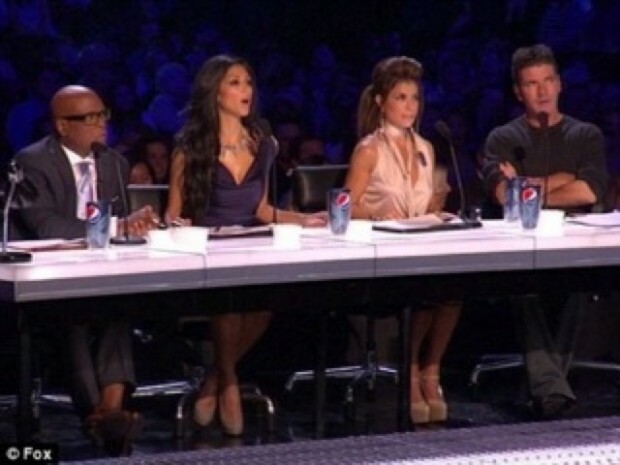 Even Modern Family managed to leave The X Factor in the dust by luring 14.3 million viewers. That could also be due to the recent boost from the Emmy’s. It’s hard to say what the future holds for Simon Cowell’s most anticipated show, but it certainly isn’t off to an encouraging start. Perhaps expectations were a tad bit high, considering network TV is basically clogged with reality competition shows at the moment. But most critics believed that anything attached to Cowell would be a surefire hit. I guess the people have spoken. All we can do now is wait and see who ultimately will have the last word.